Demi Lovato World Tour 2015! This was probably one of the happiest day of my life! 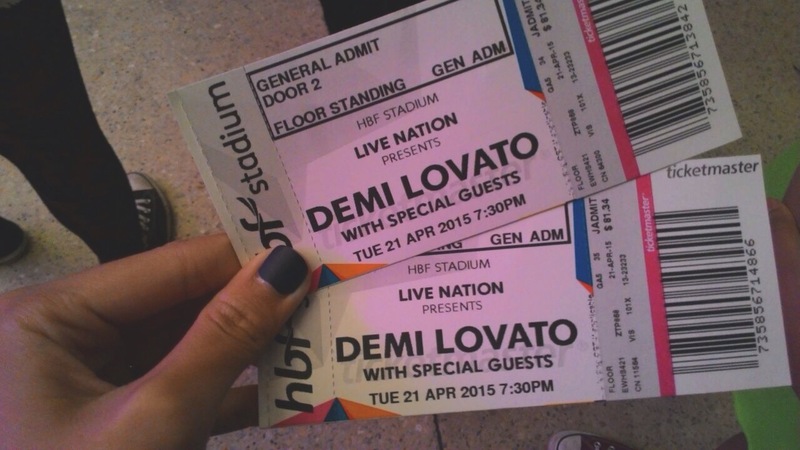 Finally, after years of teasing the Australian Lovatics, Demi Lovato performs in Australia as part of her World tour 2015! 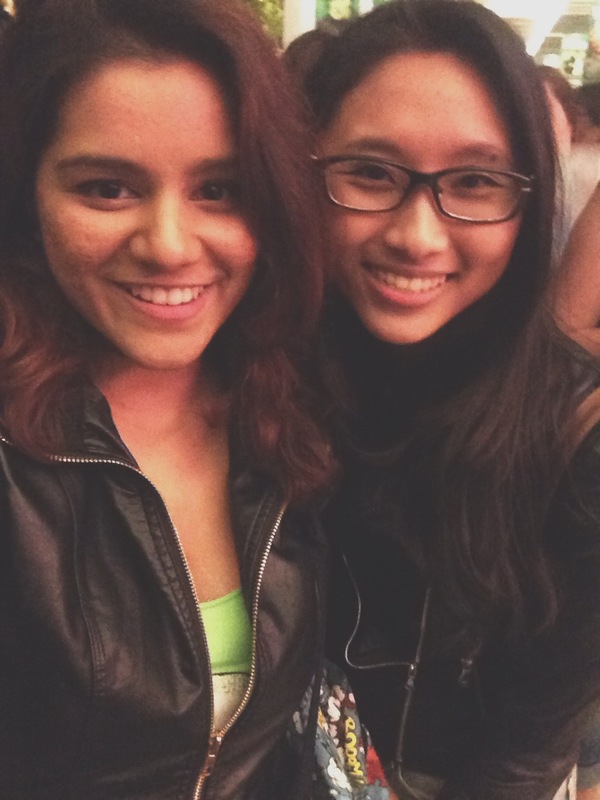 It was definitely a night that Jannah and I could never forget! Like any other crazy fans, we arrived at the venue; Crown Theater, Perth, heaps early to make sure we secured a good spot, close enough to see Demi’s shoelace but of course that didn’t happen, because when we arrived at the venue around 5:30, the line was already really long. Nevertheless, we waited patiently while gorging down Chicken nuggets and Iced Coffee that we managed to get from Maccas. We even made a toast before indulging, #NuggetsforDemi. After waiting for hours, we finally got in and the opening act was Masketta Fall, Melbourne based pop-rock band that got the crowd pumped up before Demi Lovato took the stage. All I could think about during Masketta Fall’s performance is how nervous and excited I was to see Demi Lovato in person! 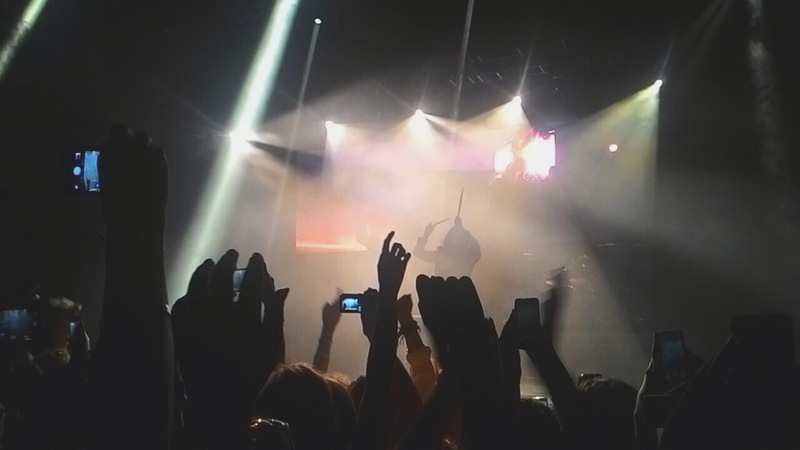 This was my second concert of hers and yet it still felt like the first time. Yes, i’m 12 years old guys(jk). Don’t judge me! 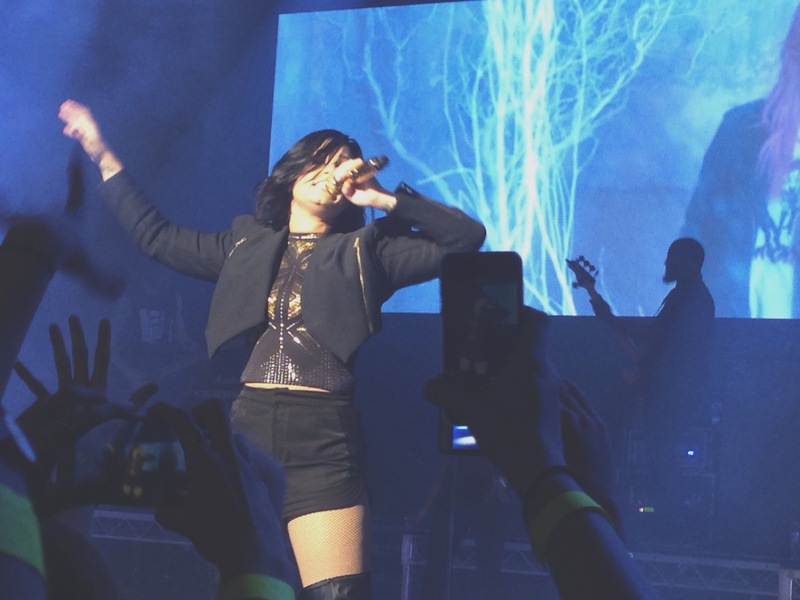 At last, Demi Lovato appeared on stage and the crowd went wild! I’m pretty sure I saw people crying too when she finally came on. Whatever happened next was just pure bliss. Her performance was so genuine and she connected with her fans. Eventhough, the theater was filled with over a thousand of lovatics but somehow she made it seem very intimate. It was so beautiful and heartwarming to see her so happy, her happy spirit radiated the entire theater and it was so contagious. She took time to sit down and talk to her fans about her recovery and how her past does not define the person that she is today and that change, is possible.